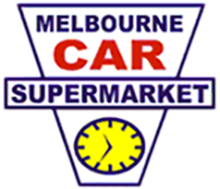 Only 25 minutes from the CBD in the South Eastern Suburbs, Melbourne Car Supermarket offers a great selection of Used Vehicles and services. There is a large range of independent dealers available for you to visit. Feel free to view the current stock online, or contact a dealership directly today! Alternatively, feel free to drop by the Supermarket during operating hours to see all the vehicles in stock. We look forward to meeting you! If you wish to contact a specific dealership in our Supermarket, please click on the link above for Our Dealers, or click here now to see their contact information. For all leasing and property enquiries, please call Ron Jacobsen on 0418 383 875.